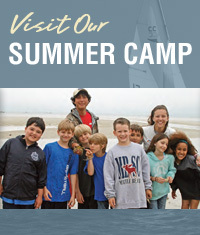 The CCSC campus is located on 50 acres of prime Cape Cod real estate with 1000 feet of shoreline directly on Cape Cod Bay. We offer a wide range of housing options, meals, meeting spaces, and recreation facilities. These are offered in a rustic setting and at reasonable rates. Our housing options include: unheated cabins, heated cabins, dormitories, and small private cottages. Many of the accommodations have restroom facilities within the building but our more rustic cabins have restroom facilities located just a short walk away. All of our facilities are well maintained by our maintenance and cleaning staff. The recreation facilities include: tennis courts, volleyball courts, basketball courts, expansive fields, and a glorious beachfront where our sunsets are the best kept secret on Cape Cod.